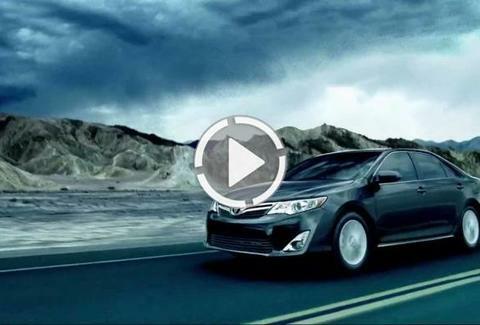 2012 Toyota Camry: It's Ready. Are You? If the best couldn't get any better, runners would still be trying to break the eight-minute mile, and we wouldn't have the 2012 Camry: reinvented with a dynamic design, improved fuel economy, advanced safety features, and a peerless arsenal of high-tech devices. Available in six model grades: from the road-scorching SE to the fully-loaded XLE, to the all-new Hybrid LE, whose 43 city mpg rating2 means you'll have to buy a trunk-load of jerky on every rare trip to the gas station. Ensconced in the quiet ride, you’ll enjoy extra space thanks to a redesigned dash and repositioned seats, while the exterior is just as stunning via crisp, precise character lines. 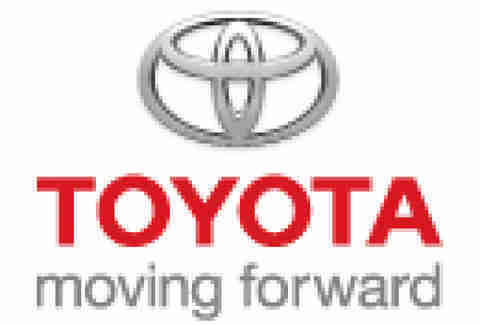 Toyota's also stocked the 2012 with ten standard airbags, and refined ride-enhancers in the form of an available backup camera,3 Blind Spot Monitors (BSM)4, and the new Entune™5 multimedia system, which syncs your smartphone's apps for easy access to Pandora®, OpenTable®, and Bing™ maps, so if you ever go an extra .16 miles out of your way again, it'll only be because you like driving this car. Feast on a visual buffet of 2012 Camry pics and specs suggesting that, despite the improved fuel economy, this puppy will get you that mile in far less than 8 minutes.